Mission: To promote connectivity among alumni and students of the University of Houston Conrad N. Hilton College of Hotel and Restaurant Management which fosters continued engagement among themselves, UH, and the college. Actively partner with the Eric’s Club in events and socials to better engage them with the main alumni group. Come join us for free food, free drinks, and friends! 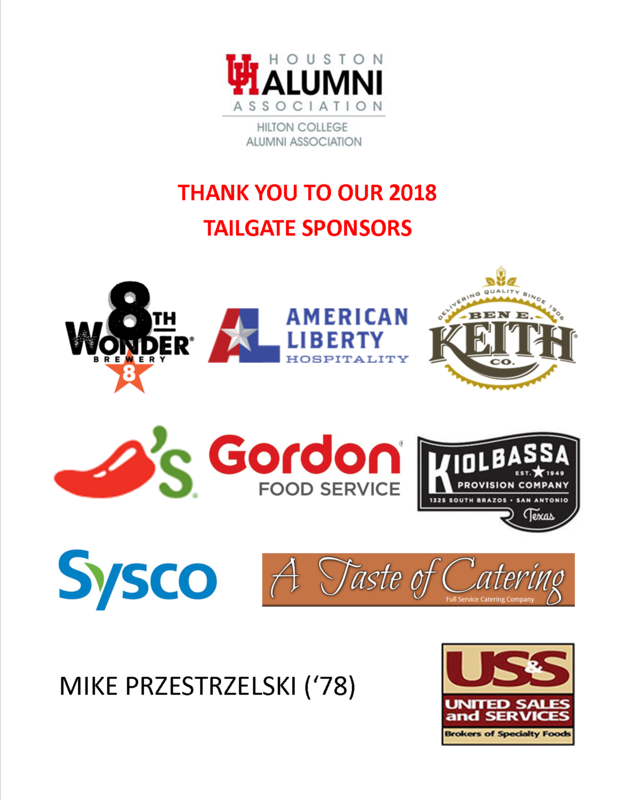 Hilton College will be tailgating at each home game next football season for the University of Houston Alumni Association’s Party on the Plaza! This year’s alumni meeting was on August 8th. Stay tuned for next years!